My guest today is Kelly Hirt, a full-time working elementary school teacher in the public school system who also happens to homeschool her own child. Since she bridges the worlds of being both an educator of young children and raising / homeschooling a differently wired child, Kelly has a unique perspective on how we can help our exceptional kids thrive both in school and in life. Last year, Kelly authored the book Boost: 12 Effective Ways to Lift Up Our Twice-Exceptional Children, which was published by the Gifted Homeschoolers Forum’s press. Today, Kelly shares some strategies from Boost, which are useful for parents of any differently wired child, not just those who are 2e. She also shares some useful insights on managing that parent / teacher relationship that can be tricky for so many of us. About Kelly Hirt: Kelly Hirt is a veteran elementary school teacher with more than 25 years experience and she has a MA in Curriculum Design. She is the mother of a homeschooled 2e son, writer, presenter, and blogger. 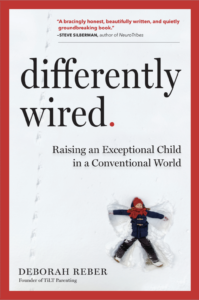 Kelly started her blog to support and connect twice-exceptional educators and families. Kelly wrote Boost: 12 Effective Ways to Lift Up Our Twice-Exceptional Children to help families and educators support 2e learners. So nice to hear from a teacher’s perspective that our children can be and are (in many cases) supported in the classroom. However, I haven’t found that all teachers “get it” and sense Kelly’s approach is still quite unique. I’m buying her book and giving it to teachers, principals and parents I know!